During this first month, our poll about The Best Diva Ever got 84 voters with a total of 2377 votes. This list shows that our readers are really aware of the right concept of Music Divas. All the winners have a long career behind and are cult artists. 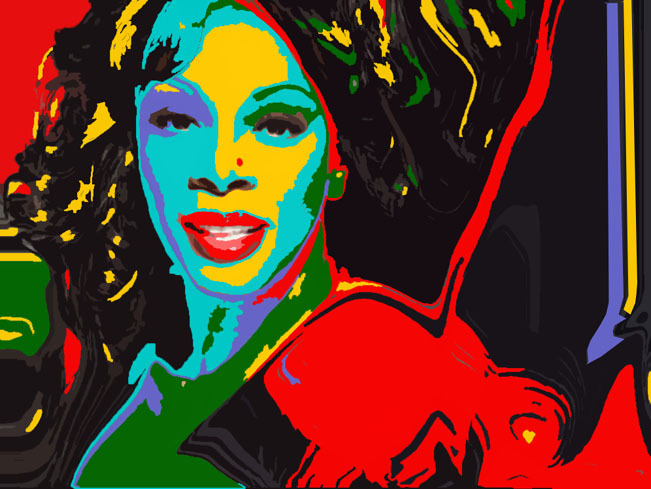 Donna Summer has been chosen as the biggest Diva ever. The queen of disco has surprised me with this position. Donna has been eliminated is the second round of our previous poll: Divas battle. Apparently, being dead still gives some “valor” and recognition to artists. Olivia Newton-John being chosen as the best Diva ever was even a bigger surprise! I love Olivia, always did. This position is more than deserved. Livvy is still active and innovating. Madonna was chosen as the third best music Diva ever. This was a surprise too, because i was really thinking that she would be number one! Madonna has been part of my life. Australian Diva Kylie Minogue has been classified as the fourth music Diva ever. Kylie remains a classic as far as pop music is concerned. Along with fellow Aussie Olivia Newton-John she is regarded as a survivor. Cher. A simple word that is immediately associated to one of the best artists ever. Cher has been chosen as the fifth best music Diva ever. This didn’t surprise me. The late Whitney Houston has been chosen as the sixth best Diva ever. Whitney is considered as one of the best female singers ever and she is awfully missed. Diana Ross has been awarded as the seventh best music Diva ever. La Boss has recently completed 71! She opened the path to ladies like Beyonce and she is one of the biggest starts alive. Annie Lennox has achieved the eight place as the best music Diva ever. Annie has the looks, the voice, the talent and the goats to be herself. Miss Bette Midler is a legend a one woman show. I wasn’t expecting her to be classified as the 9th best Diva ever. In fact, I don’t think she should be even in the top 20! Even so, I have to recognize that a song like “The Rose” makes a career. Miss Hot Legs was chosen as the 10th best Music ever. Tina Turner has been part of my life too and I think she should be positioned in second position. These were the results for the month of March 2015. Keep voting; keep putting your ups and downs. Results are updated every time you do it!